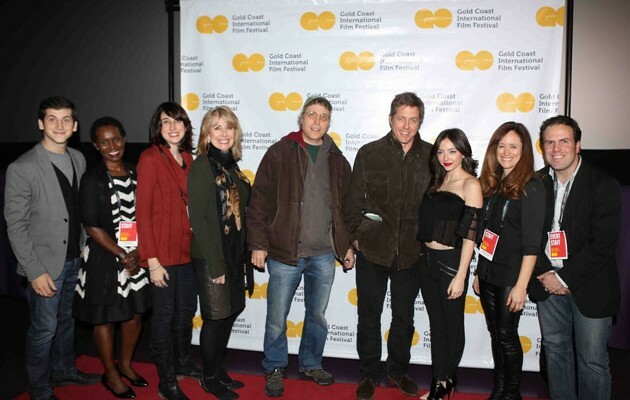 LONG ISLAND, NY – The 2015 Gold Coast International Film Festival announces an exciting slate of films for this year’s Festival taking place November 9 – 15, 2015 in venues throughout the north shore of Long Island, and once again – everyone’s invited to join us for an exciting week of films, parties, filmmaker Q&As, and glamour. The fifth anniversary of the Festival will feature over 60 films and dozens of filmmakers at screenings and events in venues throughout the Town of North Hempstead region, including Soundview Cinemas in Port Washington, the Bow Tie Cinemas in Great Neck, Port Washington, Manhasset, Roslyn, the Gold Coast Arts Center in Great Neck and the campus of LIU Post. 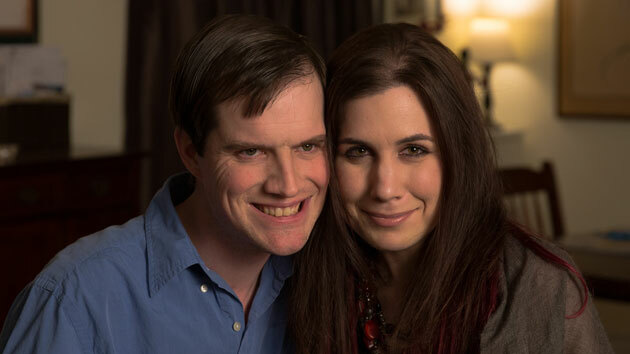 With remarkable thoroughness and compassion, director Matthew Fuller examines the everyday realities of autistic adulthood, showing how the members of this often-misunderstood community cope with the challenge of keeping romance alive over the years. “…A relatable and winning celebration of accepting the differences in others and in ourselves.” Q&A with Pat Schissel, Asperger Syndrome & High Functioning Autism Association and Kate Palmer, The Global and Regional Asperger Syndrome Partnership, Inc. Sat 11/14, 1:00pm, Soundview Cinemas, Port Washington, NY. 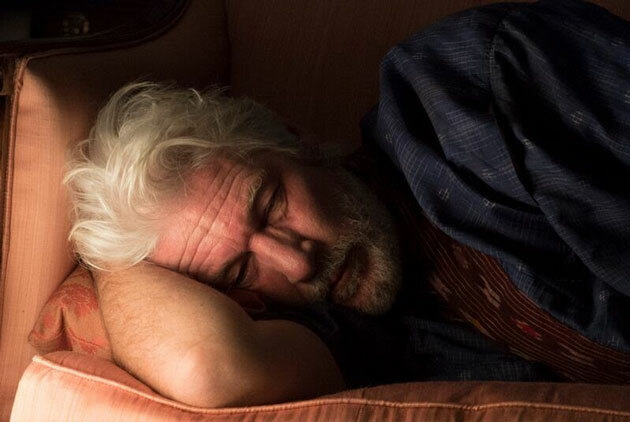 Richard Gere shines as Franny, an eccentric philanthropist trying to reconnect with his deceased best friend’s’ daughter (Dakota Fanning) and her young husband (Theo James). Although impossibly charming, Franny’s motives and lifestyle bring about larger moral questions, in this surprising and engaging debut drama from writer-director Andrew Renzi. Tues 11/10, 7:30pm, Soundview Cinemas, Port Washington, NY. THE BENEFACTOR (Director: Andrew Renzi | USA | English | 92 min | Narrative) – Long Island Premiere; Tuesday 11/10, 7:30pm, Soundview Cinemas, Port Washington, NY. FREE VETERANS DAY SCREENING FOR ALL AUDIENCES We honor our veterans, from all wars, with this screening of one of Hollywood’s greatest films, which tells the stories of three veterans returning home after WWII who have trouble readjusting to civilian life. 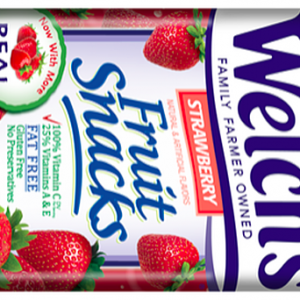 Winner of seven Academy Awards in 1946, including Best Picture, Best Director and Best Actor. Wed 11/11, 1:00pm, Bow Tie Squire Cinemas, Great Neck, NY. THE BEST YEARS OF OUR LIVES (1946) (Director: William Wyler | USA | English | 172 min | Narrative) Wednesday 11/11, 1:00pm, Bow Tie Squire Cinemas, Great Neck, NY. In a world where most mass-produced goods are heavily automated, a small group of artisans must brave unusual working conditions to preserve a 2000-year-old tradition that we have come to know as saké. A fascinating, absorbing look into what it takes to make world-class saké at Yoshida Brewery, a 144-year-old family-owned small brewery in northern Japan. Sat 11/14, 6:30pm, Bow Tie Cinemas, Manhasset NY. THE BIRTH OF SAKE (Director: Erik Shirai | USA | Japanese with English subtitles | 94 min | Documentary) Sat 11/14, 6:30pm, Bow Tie Cinemas, Manhasset NY. A crowd pleasing, screwball tragi-comedy featuring French moviestars and Michelin-starred cuisine. When Marithé, a professional career counselor, meets Carole, a rich ditz living in the shadow of her chef husband, the two form an unexpected bond. While the two both share a desire for something different and greater out of life, their motives end up being at odds with their friendship. Fri 11/13, 6:30pm, Bow Tie Roslyn Theater, Roslyn NY. THE CHEF’S WIFE (Director: Anne Le Ny | France | French with English subtitles | 91 min | Narrative) – Long Island Premiere; Friday 11/13, 6:30pm, Bow Tie Roslyn Theater, Roslyn NY. Lying gets easier the more you do it—that is, until you get caught. This humorous and engaging documentary, inspired by the work of behavioral economist Dan Ariely, interweaves personal stories, expert opinions, behavioral experiments, and archival footage and creates a fascinating and insightful inquiry into why people lie and the very real effects it can have. Q&A with Director Yael Melamede and Ethics law experts Kevin Kearon, Esq., Steven Leventhal, Esq. and Omid Zareh, Esq. 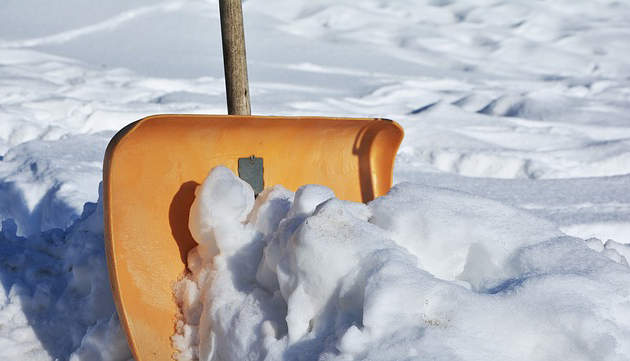 Optional CLE credit will be offered at the event for practicing attorneys. Thurs 11/12, 6:00pm, Soundview Cinemas, Port Washington, NY. (DIS)HONESTY: THE TRUTH ABOUT LIES (Director: Yael Melamede | USA | English | 90 min | Documentary) Presented in partnership with the Nassau County Bar Association. Thursday 11/12, 6:00pm, Soundview Cinemas, Port Washington, NY. A delightfully dark comedy about a young aspiring filmmaker who comes back home to his unpredictable mom (Rene Russo) and unexpectedly starts an online documentary about his stepfather (Oliver Platt), an overweight alcoholic who was in an 80s one-hit-wonder band. Ironically, what started as a joke evolves into something else: a brutal, but often hilarious look at a flawed family coming to terms with the past and each other. Sat 11/14, 8:30pm, Soundview Cinemas, Port Washington, NY. FRANK AND CINDY (Director: G.J. Echternkamp | USA | English | 101 min | Narrative) – Long Island Premiere; Saturday 11/14, 8:30pm, Soundview Cinemas, Port Washington, NY. This warm-hearted Swedish comedy follows Disa—40ish, a bit dumpy, and way too accommodating—who is stuck in a rut after her husband leaves her for a twiggy new model, and her mother and work colleague continue to boss her around. With the help of a new man in her life, she learns to take care of herself, but is she up for the challenge? Sun 11/15, 4:00pm, Soundview Cinemas, Port Washington, NY. HELLOHELLO (Director: Maria Blom | Sweden | Swedish with English subtitles | 97 min | Narrative) – New York Premiere; Sun 11/15, 4:00pm, Soundview Cinemas, Port Washington, NY. The Recycled Orchestra, a youth group playing instruments made entirely out of garbage, is catapulted into the global spotlight when their story goes viral and is featured on 60 Minutes. This amazing and inspirational doc is a testament to the power of music and the resilience of the human spirit. Sat 11/7, 7:30pm, Gold Coast Cinema at LIU Post. Presented in partnership with LIU Post Department of Music of the College of Arts, Communications, and Design. Sat 11/14, 2:00pm, Soundview Cinemas, Port Washington, NY. Presented in partnership with Residents for a More Beautiful Port Washington. **Nov. 11 screening includes Interactive Q&A with Dr. Dale Stuckenbruck and the ECO Orchestra from the Waldorf School of Garden City. 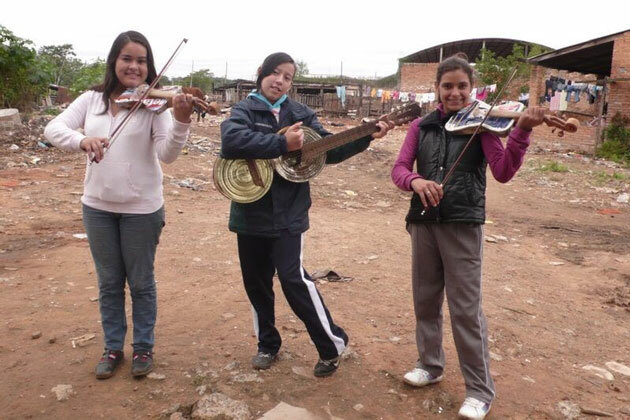 LANDFILL HARMONIC (Director: Graham Townsley, Brad Allgood | USA | Spanish/English with Eng. subtitles | 84 min | Documentary) Saturday 11/7, 7:30pm, Gold Coast Cinema at LIU Post. Saturday 11/14, 2:00pm, Soundview Cinemas, Port Washington, NY. 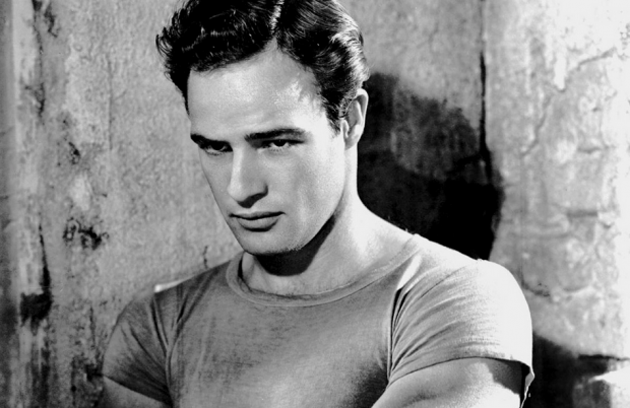 “The definitive Brando. In his own words.” Marlon Brando was one of the most acclaimed and influential actors of all time. Featuring exclusive access to Brando’s previously unseen and unheard personal archive, including hundreds of hours of audio, this film sheds light on the artist and the man. “The greatest, most searching documentary of an actor ever put on film.” Sat 11/14, 3:30pm, Bow Tie Cinemas, Manhasset NY. LISTEN TO ME MARLON (Director: Stevan Riley | USA | English | 102 min | Documentary) Saturday 11/14, 3:30pm, Bow Tie Cinemas, Manhasset NY. A unique mix of comedy and drama in the story of an unlikely group of volunteers in the South of Italy who form a farm collective on land confiscated from a jailed Mafioso, who unexpectedly returns and is not pleased with what’s become of his property. Q&A with Fabio Troisi of the Italian Cultural Institute. Sat 11/14, 8:00pm, Soundview Cinemas, Port Washington, NY. MAFIA AND RED TOMATOES (Director: Giulio Manfredonia | Italy | Italian with English subtitles | 100 min | Narrative) – New York Premiere; Saturday 11/14, 8:00pm, Soundview Cinemas, Port Washington, NY. MIND/GAME: THE UNQUIET JOURNEY OF CHAMIQUE HOLDSCLAW (Director: Rick Goldsmith | USA | English | 57 min | Documentary) – New York Premiere – Sponsored by the Katz Institute for Women’s Health of the North Shore-LIJ Health System. 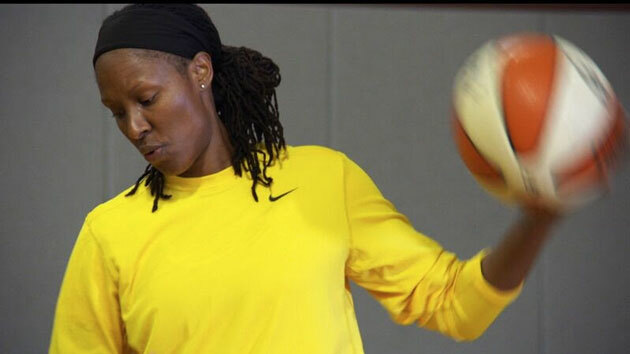 Two-time Academy Award nominee Rick Goldsmith crafts an intimate profile of Chamique Holdsclaw, who became the best and most famous women’s basketball player on the planet until her career was derailed by depression and near-suicide. Since leaving the WNBA, she has become a powerful mental health advocate and role model. Q&A with Director Rick Goldsmith, WNBA superstar and subject of the film Chamique Holdsclaw and North Shore-LIJ Health System distinguished experts in psychiatry, sports medicine and women’s health. Sat 11/14, 3:30pm, Soundview Cinemas, Port Washington, NY. MIND/GAME: THE UNQUIET JOURNEY OF CHAMIQUE HOLDSCLAW (Director: Rick Goldsmith | USA | English | 57 min | Documentary) – New York Premiere – Sponsored by the Katz Institute for Women’s Health of the North Shore-LIJ Health System. Sat 11/14, 3:30pm, Soundview Cinemas, Port Washington, NY. The New York State Pavilion, once the shining symbol of the 1964/65 World’s Fair, now sits as a haunting reminder of what became of the age of optimism. 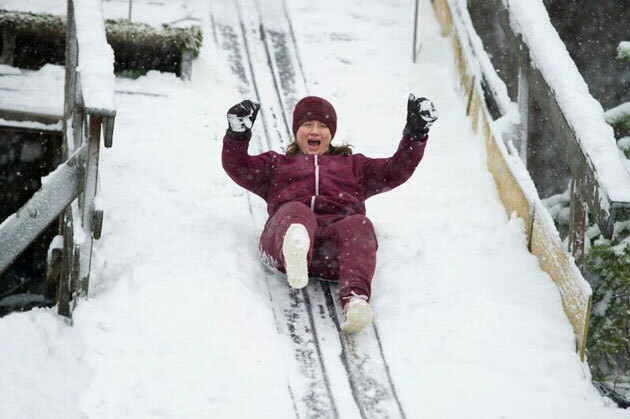 Through surprising and informative interviews, we learn the story of the Fair, from its glory days to its brief iterations as a 60s concert venue and 70s roller rink, to the years of neglect and the recent grass-roots restoration advocacy efforts. Q&A with Director Matthew Silva and Joseph Tirella, author of Tomorrow-Land: The 1964-65 World’s Fair and the Transformation of America. Includes lunch before film at the Gold Coast Arts Center. Thurs 11/12, 2:00pm, Bow Tie Squire Cinemas, Great Neck NY. 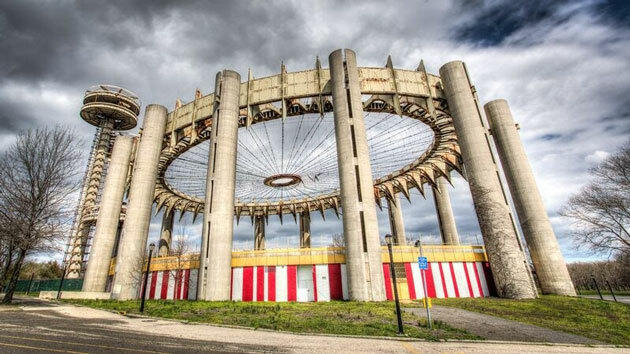 MODERN RUIN: A WORLD’S FAIR PAVILION (Director: Matthew Silva | USA | English | 78 min | Documentary) – Long Island Premiere – Sponsored by the Amsterdam at Harborside; Thurs 11/12, 2:00pm, Bow Tie Squire Cinemas, Great Neck NY. THE MUSES OF BASHEVIS SINGER (Director: Asaf Galay, Shaul Bester | Israel | English and Hebrew with English subtitles | 72 min | Documentary) – Long Island Premiere. An entertaining and compelling film that looks at the women who inspired the Nobel Prize-winning author Isaac Bashevis Singer, a leading figure in the Yiddish literary movement. Featuring interviews and recollections of high art and gossip from these smart, beautiful and unforgettable “muses.” Q&A with Leah Napolin, playwright featured in film (Yentl). Sun 11/15, 1:30pm, Bow Tie Squire Cinemas, Great Neck NY. THE MUSES OF BASHEVIS SINGER (Director: Asaf Galay, Shaul Bester | Israel | English and Hebrew with English subtitles | 72 min | Documentary) – Long Island Premiere. Sun 11/15, 1:30pm, Bow Tie Squire Cinemas, Great Neck NY. 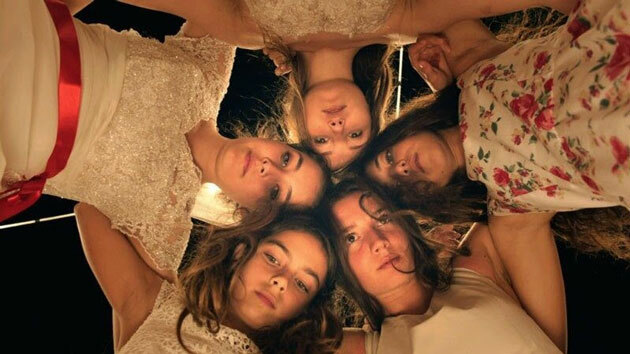 In this poignant, eloquent drama, five sisters in a Turkish village play with boys while walking home from school. The perceived immorality of their play has unexpected consequences, and when the girls’ parents begin to turn their home into a prison, they must band together to fight back against the limits imposed on them. Direct from the Cannes Film Festival, and France’s official submission to the Academy Awards. Sat 11/14, 6:00pm, Soundview Cinemas, Port Washington, NY. MUSTANG (Director: Deniz Gamze Ergüven | France/Turkey | Turkish with English subtitles | 95 min | Narrative) – Long Island Premiere. Saturday 11/14, 6:00pm, Soundview Cinemas, Port Washington, NY. Adapted from a story by Nobel-laureate Doris Lessing, My Friend Victoria is a complex, poignant portrait of a black woman in contemporary Paris whose destiny is shaped by France’s attitudes on class and privilege. This superbly acted, distinctly fresh take on racial identity is an acutely intelligent achievement by a director whose time has surely come. Sun 11/15, 1:30pm, Soundview Cinemas, Port Washington, NY. MY FRIEND VICTORIA (Director: Jean-Paul Civeyrac | France | French with English subtitles | 95 min | Narrative) – Long Island Premiere; Sunday 11/15, 1:30pm, Soundview Cinemas, Port Washington, NY. In the midst of the ever-fraught Israeli-Palestinian political landscape, two women—one Israeli and one Palestinian—attempt the seemingly impossible: to build a business together. Suspenseful, moving, and not without humor, this is the story of a very special bond facing challenges of all shapes and sizes. Q&A with film subjects Anat Shelach and Rola Srouji Thurs 11/12, 7:30pm, Bow Tie Squire Cinemas, Great Neck, NY. (Followed by dessert reception at LOLA). PARTNER WITH THE ENEMY (Director: Duki Dror, Chen Shelach | Israel | Hebrew and Arabic with English subtitles | 60 min | Documentary) – Long Island Premiere; Thursday 11/12, 7:30pm, Bow Tie Squire Cinemas, Great Neck, NY. (Followed by dessert reception at LOLA). 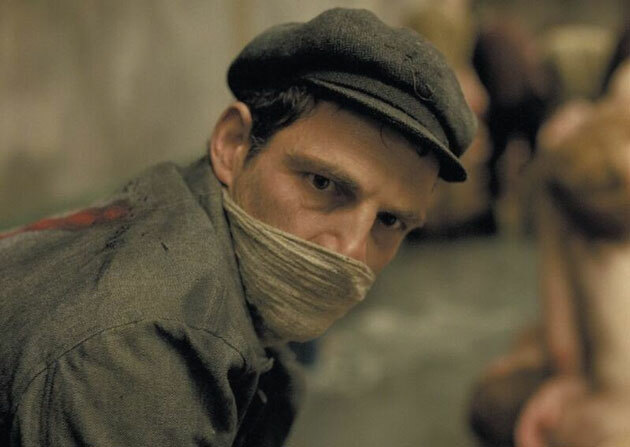 Winner of the Grand Prix at Cannes and lauded at festivals worldwide, Son of Saul tells the story of Saul Ausländer, a Hungarian prisoner at Auschwitz. While working in one of the crematoriums, Saul discovers the body of a boy he takes for his son, and decides to carry out an impossible task: save the child’s body from the flames, find a rabbi, and offer the boy a proper burial. Wed, 11/11, 7:00pm, Bow Tie Squire Cinemas, Great Neck, NY. SON OF SAUL (Director: László Nemes | Hungary | Hungarian, Yiddish, German, Russian and Polish with English subtitles | 107 min | Narrative) Wednesday, 11/11, 7:00pm, Bow Tie Squire Cinemas, Great Neck, NY. An inside look at an offbeat sport, Top Spin turns one of America’s favorite pastimes on its head and reveals a coming-of-age story where success and failure come down to mere millimeters. 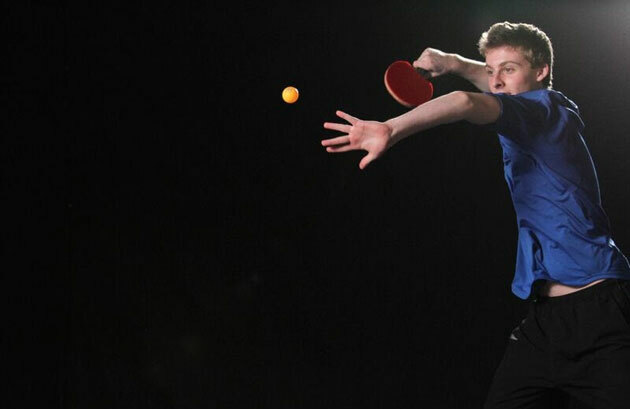 The film follows three fiercely committed teenagers as they battle their way through the world of elite, competitive table tennis and trade dreams of the prom and graduation for the Olympics and winning Gold. 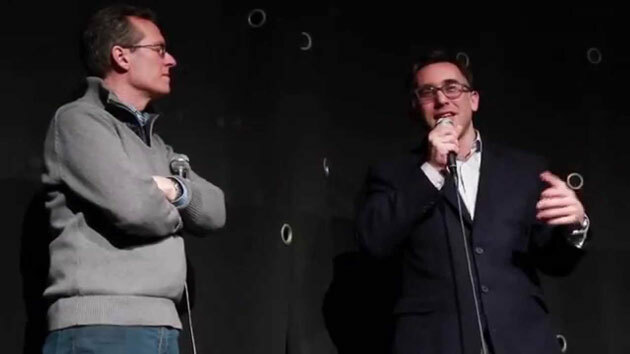 Q&A with film subject Michael Landers – who is from Long Island. Sun 11/15, 4:30pm, Soundview Cinemas, Port Washington, NY. TOP SPIN (Director: Mina T. Son, Sara Newens | USA | English and Mandarin with English subtitles | 81 min | Documentary) – Long Island Premiere. Sunday 11/15, 4:30pm, Soundview Cinemas, Port Washington, NY. A delightful rom-com anchored by charming lead performances. In friendly yet frosty Maine, Hannah (Rebecca Hall) is trying to get over the death of her beloved folk-singer husband. 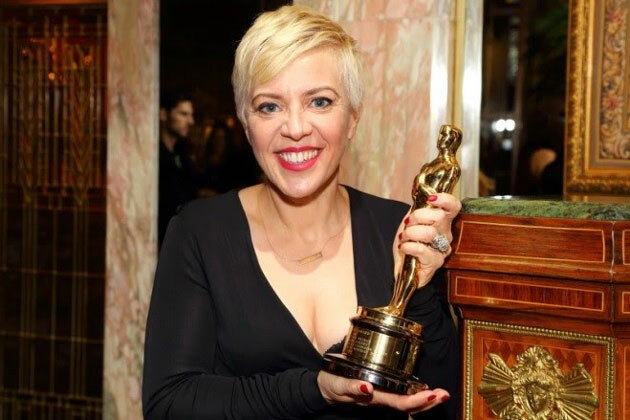 When New York professor Andrew (Jason Sudeikis) starts poking around with questions about her husband, she reluctantly agrees to partner with him on a book, opening up new chapters for both. Fri 11/13, 8:45pm, Bow Tie Roslyn Theater, Roslyn NY. TUMBLEDOWN (Director: Sean Mewshaw | USA | English | 103 min | Narrative) – Long Island Premiere; Friday 11/13, 8:45pm, Bow Tie Roslyn Theater, Roslyn NY. A crime novelist receives a vital clue to the whereabouts of his long-missing fiancée, in this original, mind-bending mystery that pays homage to Hollywood film noir and the reality-twisting fictions of Jorge Luis Borges and Julio Cortázar. Sat 11/14, 8:30pm, Bow Tie Cinemas, Manhasset NY. THE VANISHED ELEPHANT (Director: Javier Fuentes-León | Peru | Spanish with English subtitles | 109 min | Narrative) Saturday 11/14, 8:30pm, Bow Tie Cinemas, Manhasset NY. 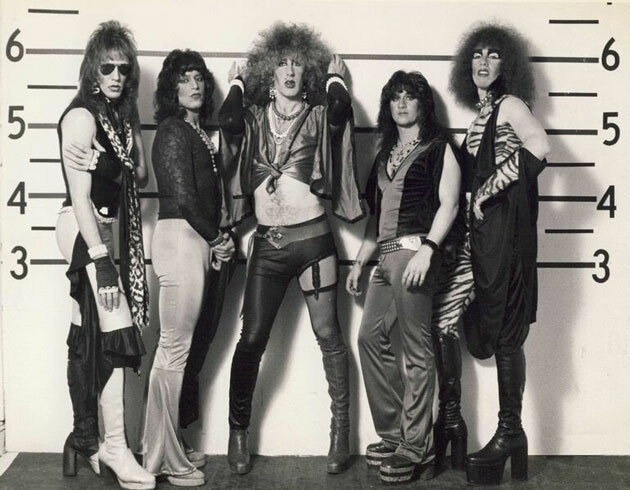 The mesmerizing, wickedly appealing, and never-before-told story of the first ten grueling years leading up to Twisted Sister’s legendary career, as they cross-dressed their way to headlining every club from Long Island beach bars to New Jersey bowling alleys, recounted by the band themselves, their managers and some of their most devout fans. Q&A with Director Andrew Horn and Twisted Sister members Jay Jay French, Mark “The Animal” Mendoza & Co-Manager Joe Gerber. 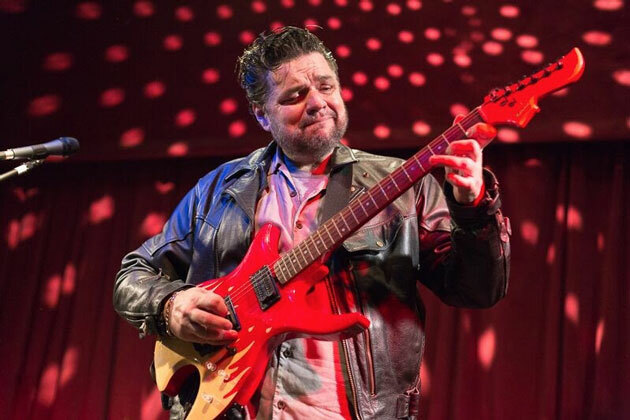 Fri 11/13, 7:30pm, Bow Tie Theater, Port Washington NY. WE ARE TWISTED F*CKING SISTER (Director: Andrew Horn | USA | English | 139 min | Documentary) – US Premiere; Friday 11/13, 7:30pm, Bow Tie Theater, Port Washington NY. 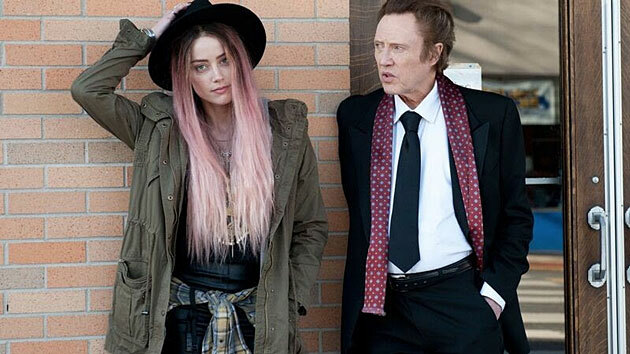 In this warm comedy of music, career comebacks and family dysfunction, aspiring artist Jude (Amber Heard) heads to the Hamptons home of her father (Christopher Walken), an over-the-hill crooner desperately charting his musical comeback. Sat 11/14, 5:00pm, Soundview Cinemas, Port Washington, NY. WHEN I LIVE MY LIFE OVER AGAIN (Director: Robert Edwards | USA | English | 98 min. | Narrative) Saturday 11/14, 5:00pm, Soundview Cinemas, Port Washington, NY.